"Richard is an intellectual powerhouse, who has a real confidence in his advocacy." "He has an incredibly good and calm manner with clients, but a backbone of steel when it comes to litigation." Richard has been described by the Legal 500 as “a fantastic junior and a silk in the making”. He practises in all areas of private family law and tends to be instructed in complex financial cases and jurisdiction disputes, both with and against leading counsel. He was shortlisted in 2014 for the award of Chambers and Partners family law junior barrister of the year. In placing Richard in the top band of junior barristers, Chambers and Partners 2015 commented that “he is a junior but has a courtroom style and a wisdom that would suggest much more experience” and stated that “he has the gift of making anything seem reasonable and attractive”. The 2015 edition of the Legal 500 refers to his “quiet confidence which means he often comes in with the killer point, keeping his head about him under pressure”. The current edition of Chambers and Partners describes him as “feisty and prepared to take on the other side, he takes no prisoners but is elegant and sophisticated”. It states that “he quite simply has ability, both intellectually and emotionally, beyond his years”. 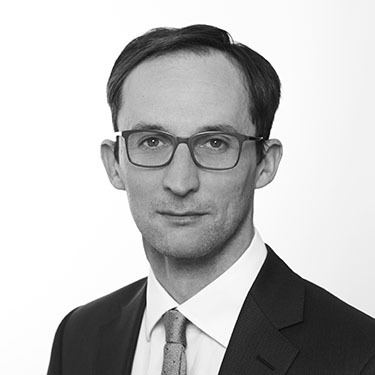 Richard qualified as a Family Law Arbitrator in 2014 (one of the youngest members of the Bar in the country to do so) and is a Member of the Chartered Institute of Arbitrators. He has been instructed in arbitration proceedings as both counsel and arbitrator. He is also a Resolution trained mediator and is happy to conduct private FDRs. Richard was educated at Magdalen College School, Oxford, King’s College, London and Green College, University of Oxford. He was awarded a Diplock Scholarship by the Middle Temple. Richard is married, has two young children and lives in Oxfordshire. He was the British Universities & UK Junior Champion at 110m hurdles and is the holder of a Full Blue.